Desktops are hot and dusty. It’s a fact of life. Or is it? Thanks to a new Taiwanese company that may not always be the case. 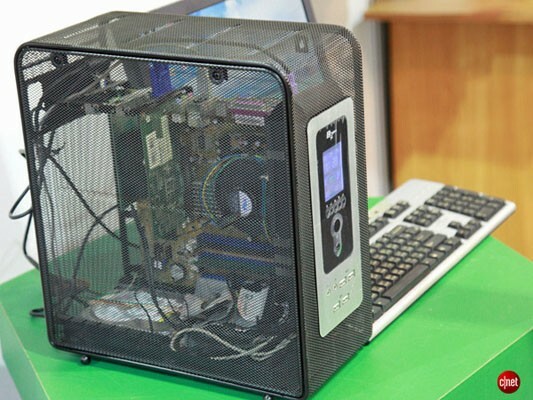 As you can see in this Engadget article, Taiwan’s Young Year Electronics has created a computer casing that has no fan which means less dust sucked in to the computer, and a much quieter machine, and is cooled using a so-called “chimney effect”. It’s a fascinating article if you’d like to read it. I have a desktop PC with an SSD and a very open case which eliminates the need for a fan, and I can support how super quiet these machines are compared to my Macbook pro whose regular 5200 RPM hard drive and fan is as loud as a rock concert. This case also has a nice view. With the holey case, you can see the components quite well which is always fun for those who love seeing the inner workings of devices. Honestly, cases like these are the future and you can expect to see many more of these from now on.